Like delicious French patisserie? Enjoy a bouef bourguignon? A good glass of red wine? Feeling slightly hungry now? 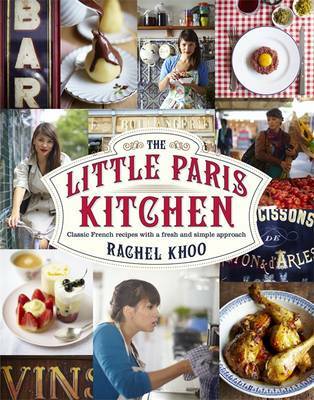 Then you - like me - will be drawn to "The Little Paris Kitchen: Classic French Recipes with a Fresh and Fun Approach" by Rachel Khoo. It is a cook book with a twist. It is written by Rachel Khoo, a gorgeous young lady (watch out Nigella), who left her native London and her steady job to become a chef in Paris. And not just any old chef. 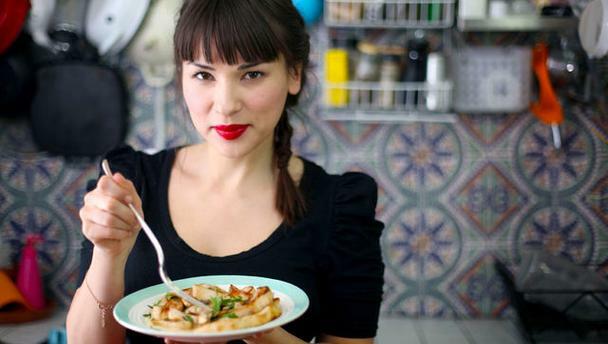 This girl opened a restaurant in her tiny flat, cooking for a maximum of two diners at a time in a seriously spartan kitchen. And she became a hit with fashionable Paris. Such a hit that she now has her own show on the BBC. I have just watched the first episode and it was mouthwatering. I am up for cooking salted caramel chocholate fondant (it was called something far more poetic in French!) right this moment and feel tempted to spend a large amount of money on cook books and kitchen paraphenalia! So "The Little Paris Kitchen: Classic French Recipes with a Fresh and Fun Approach" by Rachel Khoo is going straight on my TBR!! The recipe book looks interesting, I'm not a big fan of French food but I'm open to trying it more.